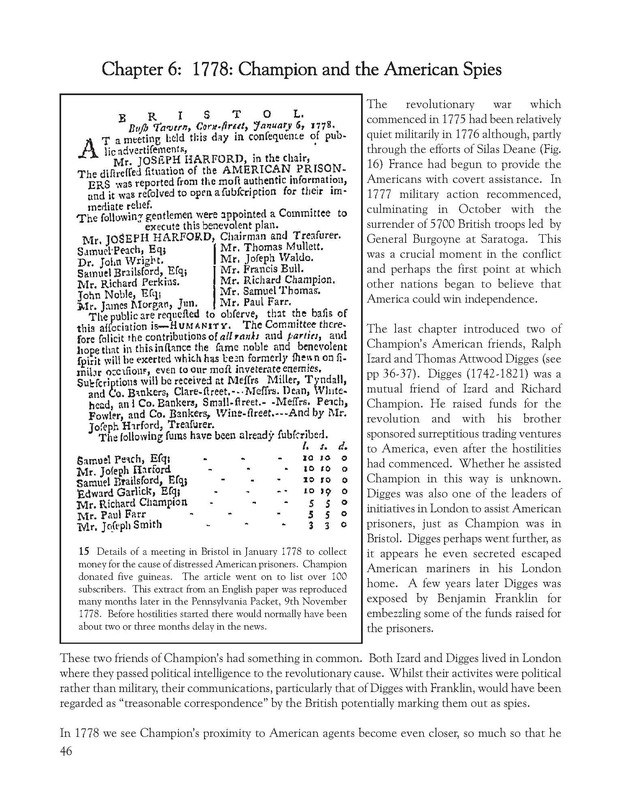 English Potter – American Patriot? This book is self published by the author who also did the majority of photography and the book layout. 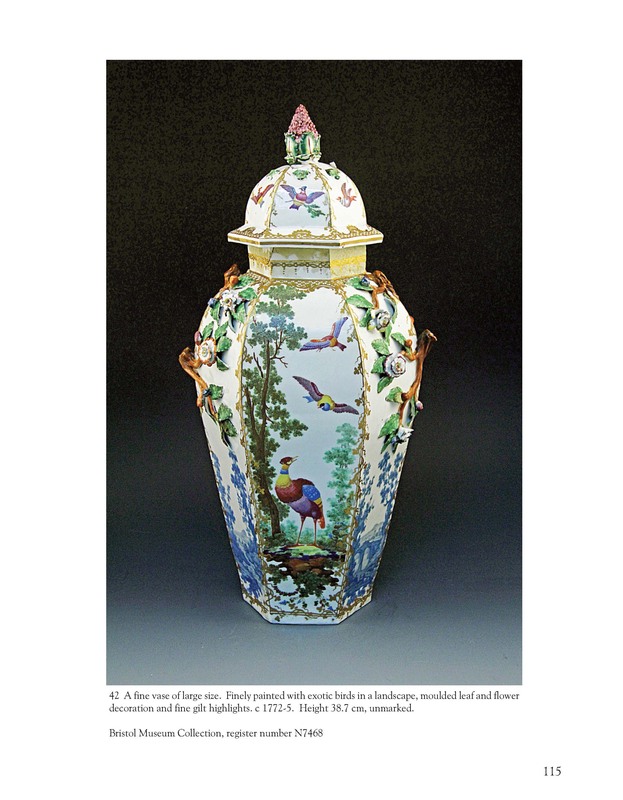 There are nearly 50 pages of full colour illustrations of Bristol porcelain, the first publication since the bicentenary catalogue more than 40 years ago. 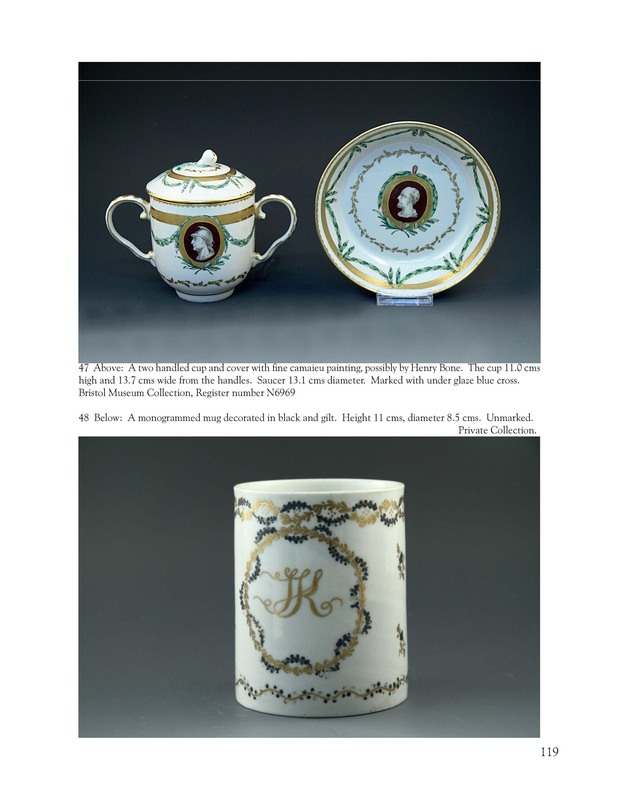 It is thus a welcome addition to collectors works of reference and thanks to a grant from Ceramica-Stiftung it is able to be priced very competitively. 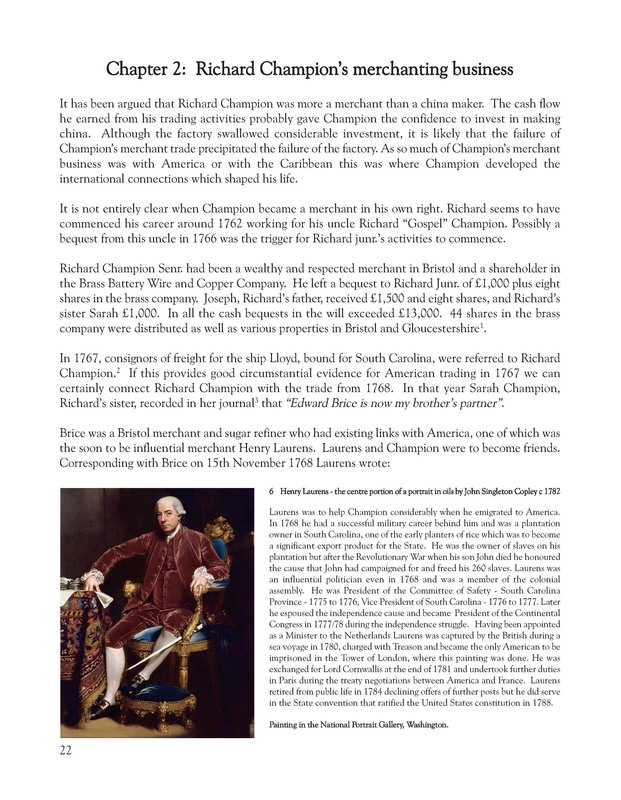 In addition to the illustrations the chapters reveal much new information about Richard Champion which will be of interest not only to collectors but to those with an interest in English or American history during the struggle for Independence. Books are available now and orders can be placed using card or Paypal below. Before you buy check out the great two-book offer on the Books page! [Champion] was a fully three-dimensional human being, with strengths and weaknesses; his public life saw successes and failures, and his private life saw deep friendships and heartbreaking losses. 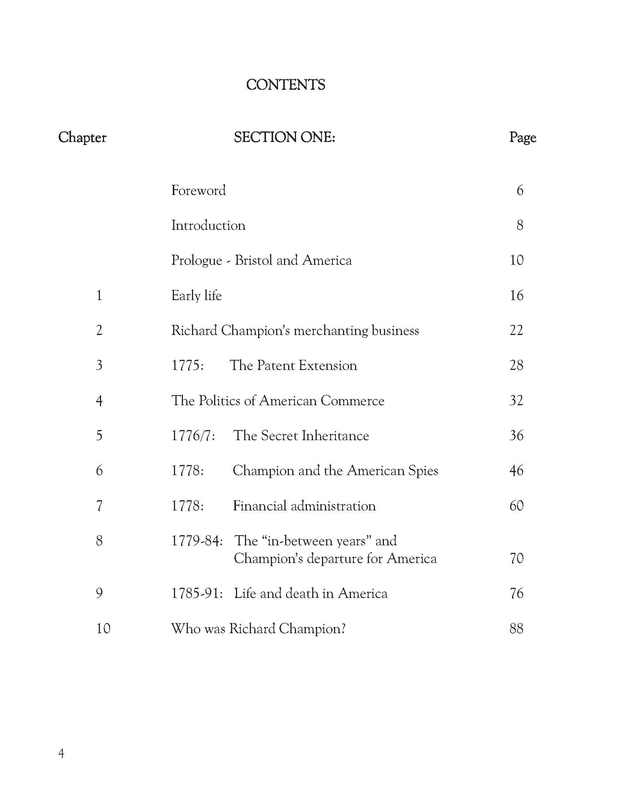 While Richard Champion has been of interest primarily to ceramics historians since his death, Nicholas Panes has provided in the chapters to follow ample reason for students of American history, of mercantile history, and indeed of the human condition, to take serious notice as well. 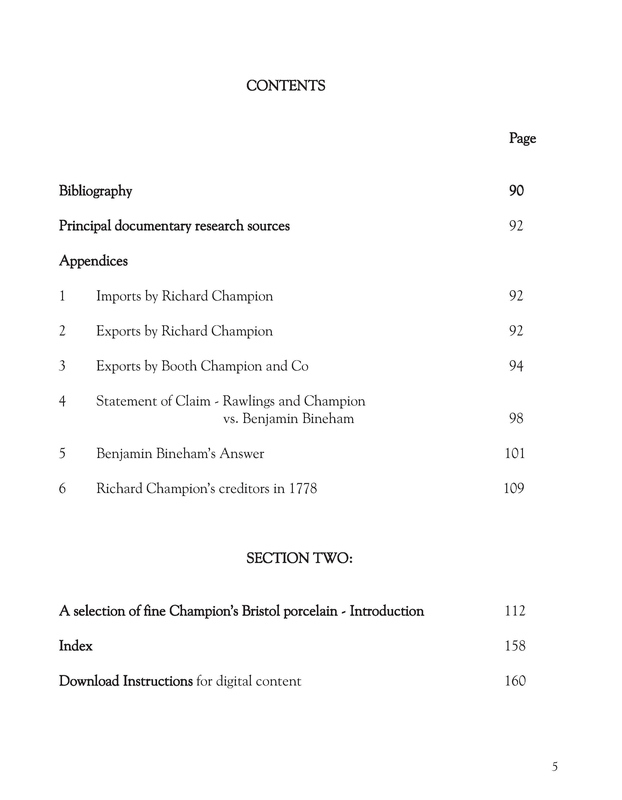 Because of his political involvement with eminent politicians on both sides of the Atlantic , Richard Champion’s correspondence has been retained in a number of archives and was extensively written about by Hugh Owen in Two Centuries of Ceramic Art in Bristol, published in 1873. Some elements of his life, though, were missing. 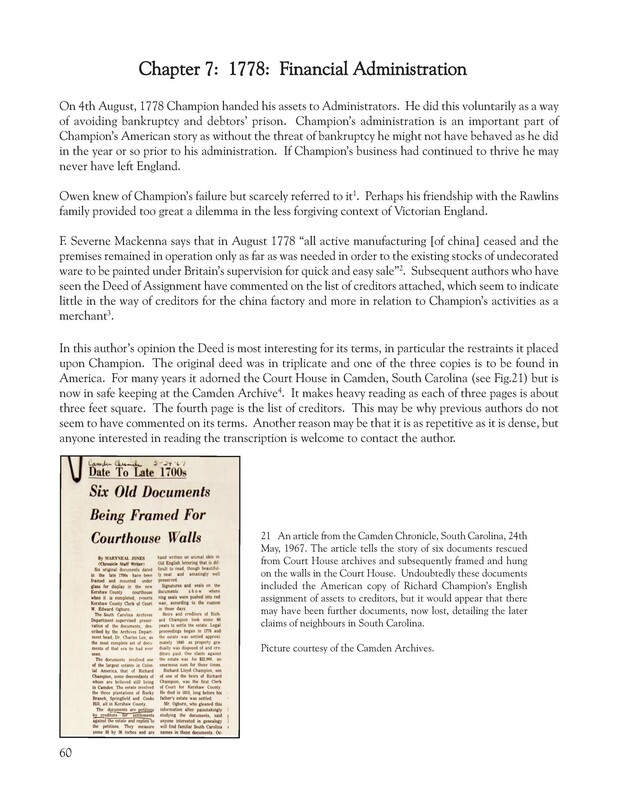 Champion was a merchant and china maker with significant business connections in America and he was politically supportive of the colonial American’s cause. He seems to have made mistakes in his business life but he eventually succeeded in making very fine porcelain. However this was all for nothing as soon the revolutionary war destroyed his merchanting activities and left him insolvent. New research reveals that Champion did not react well and did not behave well. Struggling to support a large young family he stumbled through a number of dubious financial transactions involving secret shipments, American spies, and a convicted embezzler. In 1784, with little to keep him in England, he emigrated to America with his family. Champion was not all bad. 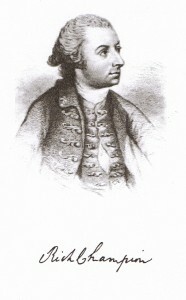 Throughout his life he supported a number of charities and held public office on both sides of the Atlantic, a considerable achievement over the revolutionary period. During his life in America before he died at the age of 48, Champion did to some extent redeem himself and perhaps at last found contentment. He died as an American citizen. This book seeks to understand the contradictions in the man and to cover areas of his life not previously revealed. 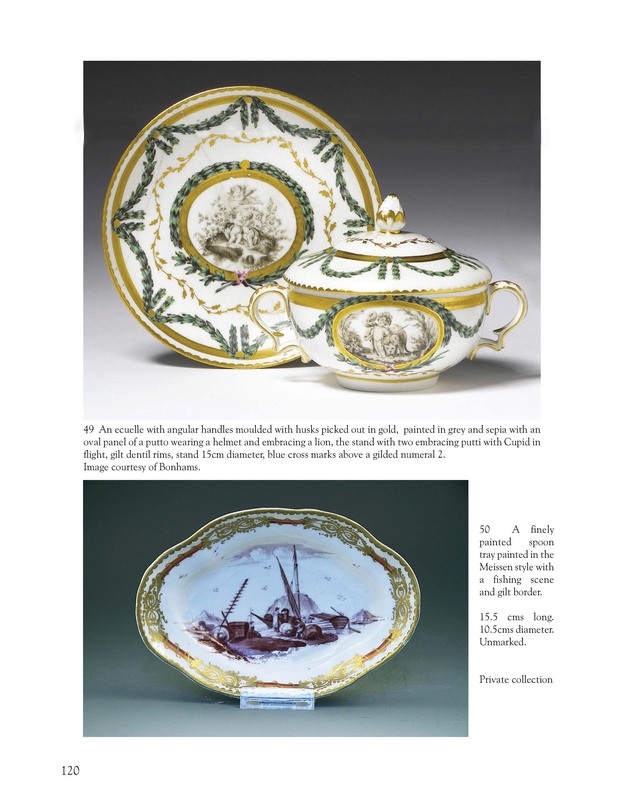 The book is hard covered, 160 pages, profusely illustrated throughout including about 80 fine Bristol porcelain pieces. 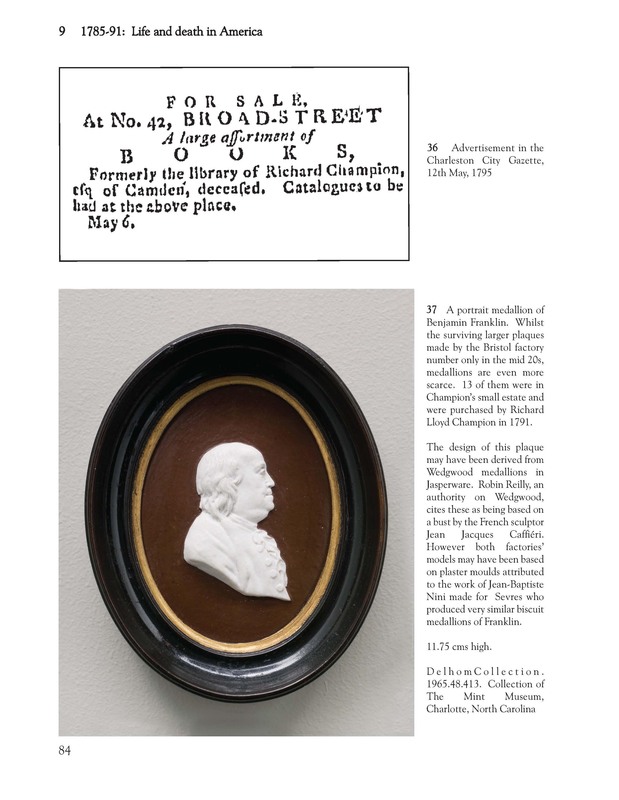 It will be of interest I hope to porcelain collectors and to anyone interested in this turbulent revolutionary period of Anglo-American history. 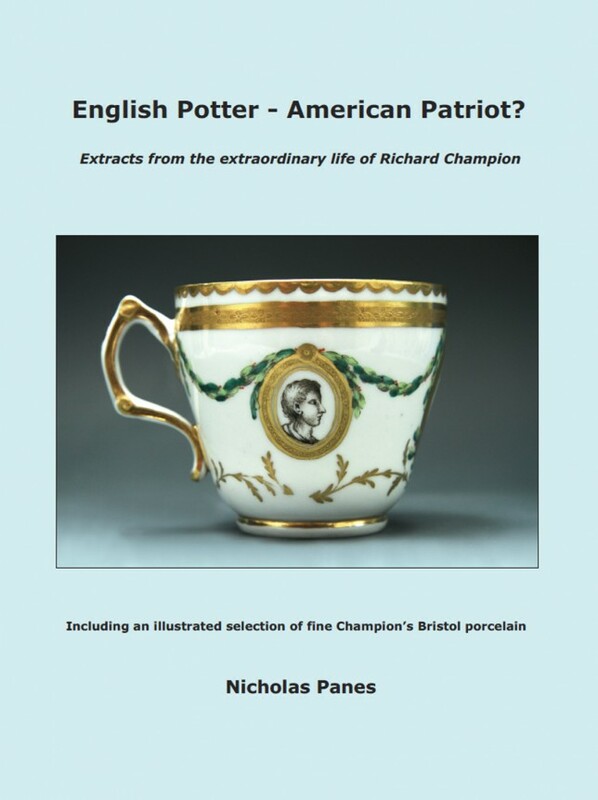 As a bonus buyers of English Potter – American Patriot? 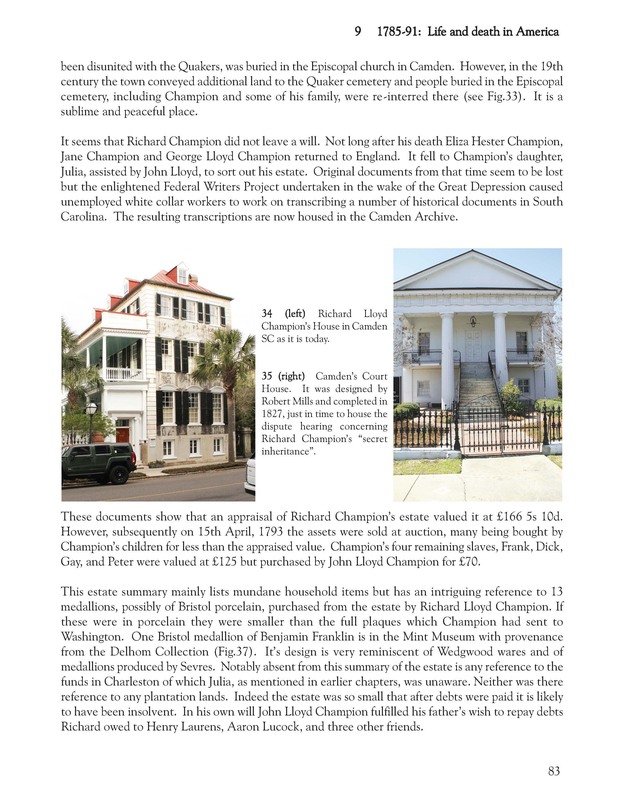 will be provided with a digital copy of Hugh Owen’s rare and expensive 1873 book (522 pages) in searchable pdf form. 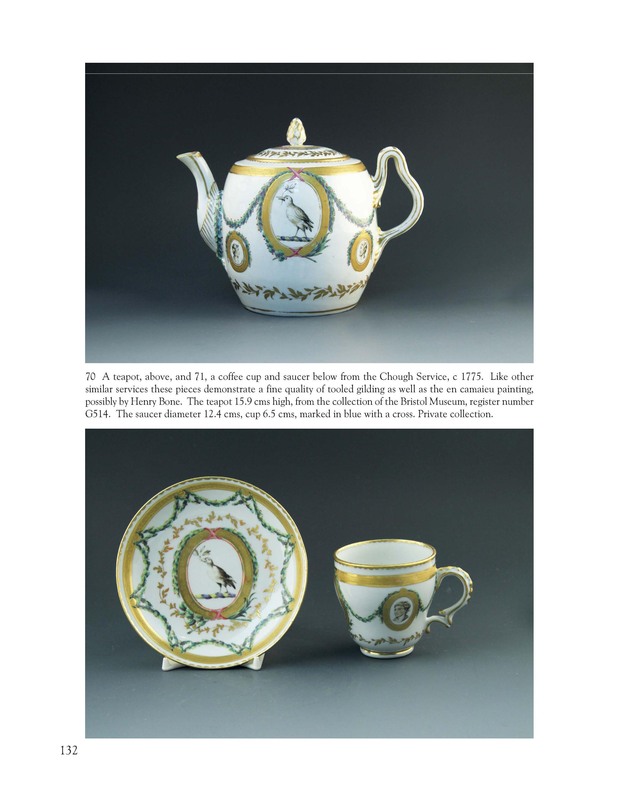 Also there will be a digital copy of extracts from Nightingale’s Contributions towards the History of Early English Porcelain covering the 1780 auction of Champion’s Bristol porcelain.